Jupiter 0.0.48 has been released yesterday and is now available in the Jupiter WebUpd8 PPA. This update corrects multiple issues with WIFI and Bluetooth toggles. Also, Jupiter now has an website - check it out @ jupiterapplet.org. 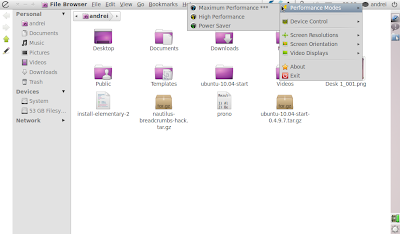 Haguichi is a Hamachi and Hamachi2 GUI for Gnome. Haguichi 1.0.4 has been released yesterday and is available in the Haguichi WebUpd8 PPA. Implemented persistent reconnect cycle (Fixes bug #685216). 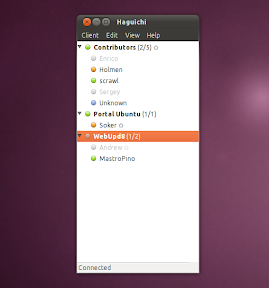 Added optional larger network list layout. Added option to show alternating row colors. Added expander with Hamachi output to error dialogs. Event notifications for the same member are now merged. Command timeout is now 60 seconds default and has a minimum of 30 seconds. Network list update timer is now being set after finishing the previous cycle. Network list update interval may be set to 0 now to turn it off completely. Network id's, nicks and passwords are now properly escaped when parsed to the command line. Implemented a more safe icon lookup in the commands editor (Fixes bug #689644). Version info is now correctly updated again after login when using Hamachi 0.9.9.9-20. Tweaked main window layout in disconnected state. Tweaked layout of menubar and status icon menu. Tweaked the size of the monochrome panel icons. Added complete Czech translations (thanks to Jan Bažant). Added complete Turkish translations (thanks to Aytunç Yeni).